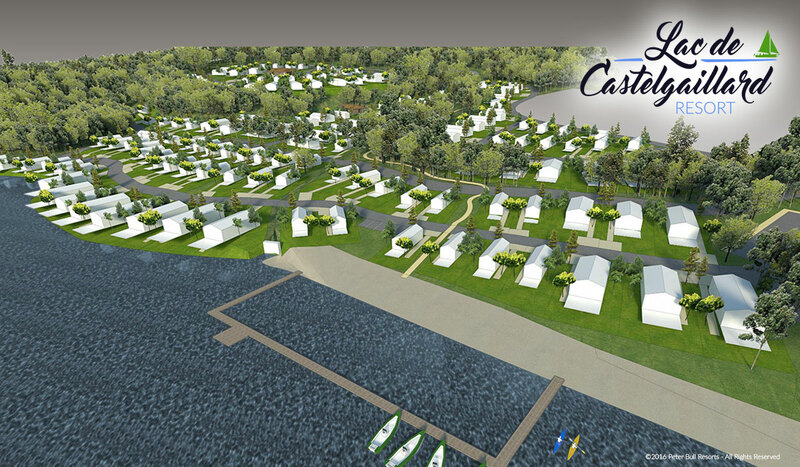 The Lac de Castelgaillard Holiday Resort, France will be the first champion holiday resort site in France belonging to The Peter Bull Consortium. Peter Bull already has a number of holiday resorts in and around Europe and the company is at the forefront for innovation, design and management of holiday resorts. Peter Bull has worked in the holiday industry for over 35 years and understands the demands for families now who wish to holiday in such beautiful settings. Due to the stresses and pressures of everyday working life, we believe that families of all ages, now truly want to spend valuable time together as a family. Whether that is time spent riding bicycles around beautiful parkland; watching theatre shows as dusk falls; sitting together on your terrace overlooking the stunning lake or dining as a family in the one of the Lake’s eateries, it’s all about making the most of your family time. 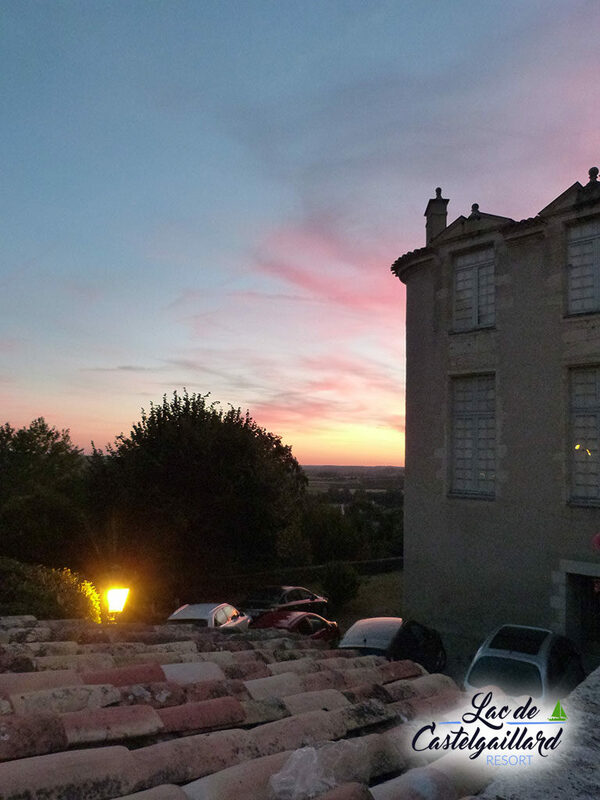 The Lot-et-Garonne, South West France is the perfect location for such holiday resorts due to its wonderful climate, accessibility to airports and motorway links and the closeness to charming villages and amazing cities. 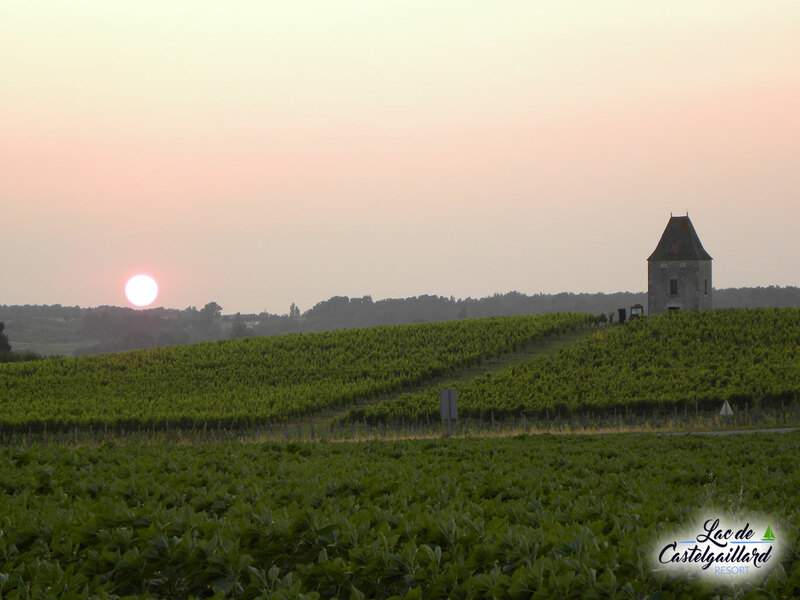 The beauty of The Lac de Castelgaillard is that there will be so much to do within the resort itself, but on its doorstep is all the best that France has to offer with its food; its wine; its people; its charm and its history. Please read further about investing and reserving a plot within this charming domain. We offer a full, 100%-guarantee deposit return in the unlikely event that you should change your mind before work has commenced on your reserved plot. Buying off plan is always a wise and astute decision as it ensures that you can reserve your preferred and desired plot, all within the knowledge that you have full assurance of a 100% money back guarantee. Please visit our Sales page about buying off plan. Peaceful and tranquil, imagine waking up within this holiday resort, in the comfort of your own beautiful home, with views of the lake and the sounds of birds and wildlife in the distance. Le Lac de Castelgaillard and its surrounding forests lay dormant for many, many years, overgrown and untouched. But now it is being transformed into the majestic place that it once was by Peter Bull Resorts, France. 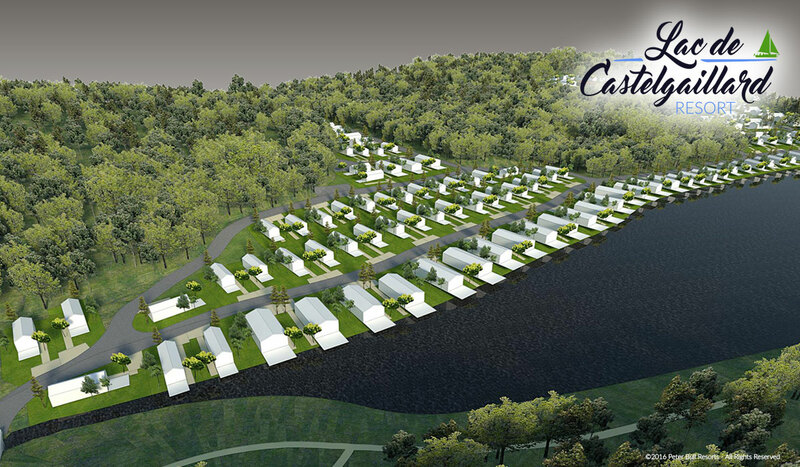 Our aim is to construct 400 wonderful holiday homes and other major attractions, including swimming pools, an amphitheatre, a beach area, snack bars and restaurant and other great facilities at the site. We are working with all local departments to obtain planning permission and the planning permissions are expected to be completed shortly. Over the last year, Peter Bull has worked closely with the Mayor of Saint Sernin and department councillors and so far has gained the full support of many officials within the council. 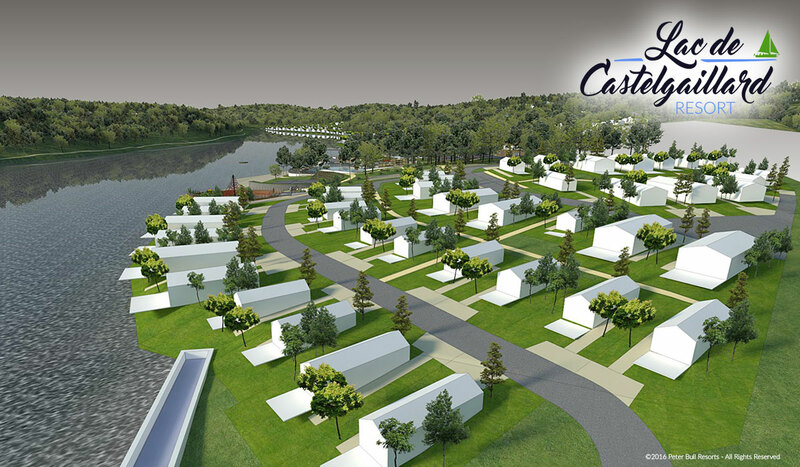 The Tourism Office of the Lot et Garonne are extremely keen to see the fruition of this project due to the beneficial effects it will have on the local economy and much needed increase of leisure facilities within the area. During 2016 we have been able to clear and open up many areas and carry out much-needed work to the dam and buildings in readiness for starting to carry out modernisation to buildings and construction work as from 2017 which will allow us to open in 2018. The Lac de Castelgaillard will be the envy of other holiday resorts within France and the rest of Europe, due to the excellent resort’s facilities and idyllic location. The option to invest in your own holiday home is superior to most and that’s why we believe it will be extremely popular with national and International holiday makers and International property investors alike. • Fishing: we have some very large fish and are working to improve fishing by introducing a re-feeding programme to encourage growth and health of the fish. We understand that the fish still in the lake are Catfish, Pike and Standon. The lake has not been fished for many years, so all species have grown exceptionally large. 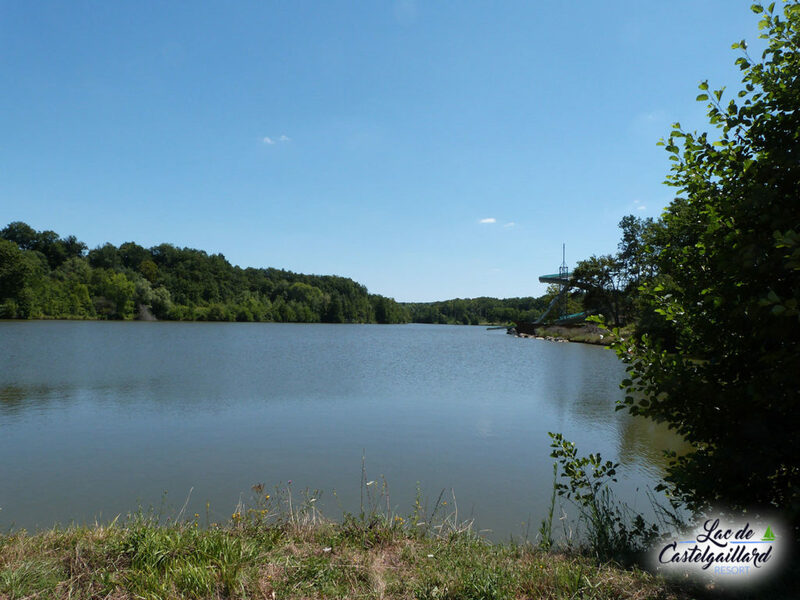 The Lac de Castelgaillard will be a holiday resort in France within the charming residential village of Saint-Sernin-de-Duras, Lot-et-Garonne. Our aim is to restore the lake and its surroundings to a prestigious site where people from all over Europe will come and visit and stay. 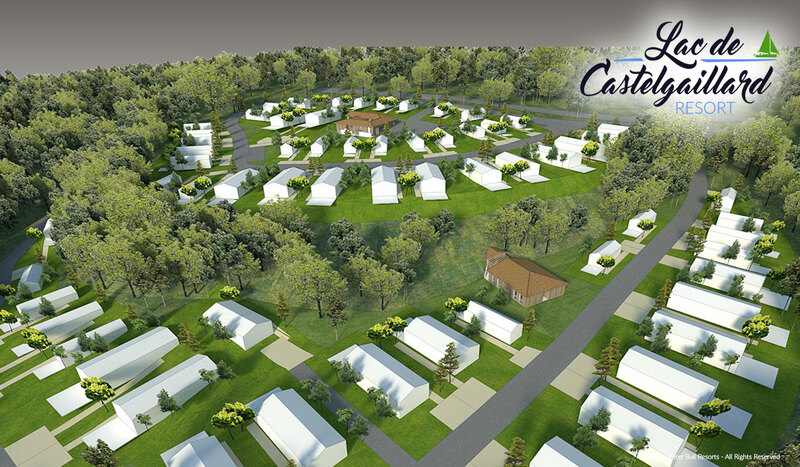 Our vision is to build 400 outstanding holiday homes that will be constructed using the highest quality eco-friendly materials and that will offer families excellent accommodation for generations to come. 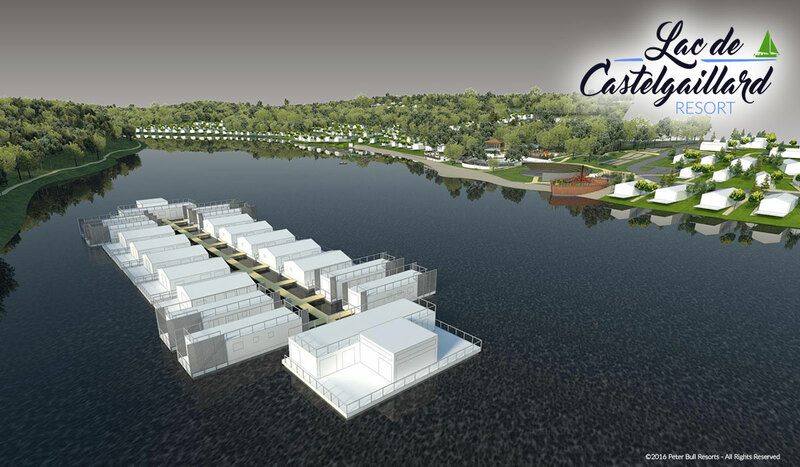 They will be built with the local environment in mind. Adherence to keeping the park as natural as possible is paramount to us. Click HERE to view full information on Reservations, how to Buy Off Plan and more details about this Great Investment Opportunity. 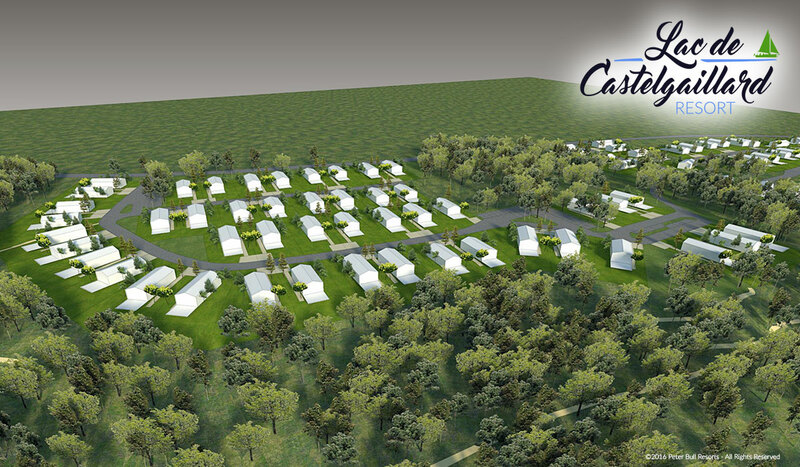 We have a large number of enquiries about buying a Holiday Home so why NOT reserve your Home & Plot? Click HERE for information on the best and most comprehensive insurance that we recommend for your holiday home.